Since the launch of Apple Music in 2015, it has been a fierce battle between Apple and Spotify in terms of paid subscribers on both the services. Spotify has always been the best in this business; however, Apple Music has done a great job by amassing millions of users since its launch. Now, according to a new report by The Wall Street Journal, it looks like Apple Music will soon overtake Spotify’s numbers, at least in the U.S. Apparently, Apple Music is gaining subscribers at a higher rate in the United States and is set to take the crown from Spotify this summer. WSJ added that Apple Music subscriptions have been growing about 5-percent monthly, compared to Spotify’s 2-percent growth. Considering the fact that the US is one of the largest markets when it comes to paid music subscribers, Apple is indeed doing a commendable job by gaining more subscribers where it matters. In terms of the global numbers, Spotify is still miles ahead of Apple Music in terms of the paid subscribers. Spotify has over 70 million paid subscribers, whereas Apple Music is standing at about 36 million. That being said, it is worth making a note that Apple has gained over 6 million subscribers since September. Apple Music comes pre-installed on a wide array of Apple devices like the iPhones, iPod, and iPad. The fact that it comes pre-installed may be responsible for some of its subscription, and now the Cupertino tech giant is also launching the new HomePod speaker which is expected to drive more numbers eventually. Apple Music has a larger library of songs compared to Spotify. All the Apple Music paid subscribers to get access to over 45 million songs. 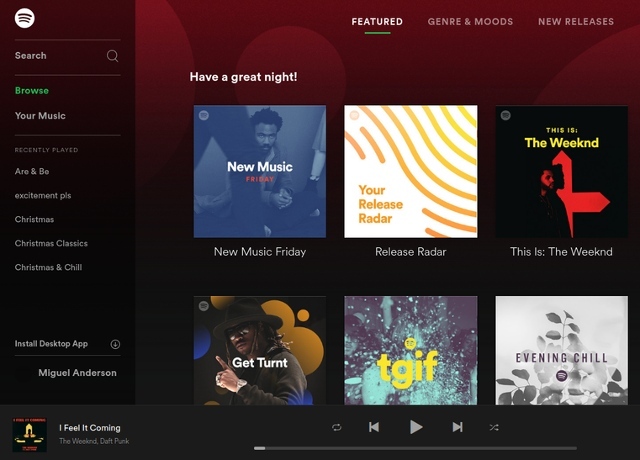 Spotify, on the other hand, offers a free service where users can access their library with over 30 million songs but have limited features. Talking about pricing, both Apple Music and Spotify offer a $9.99 subscription with unlimited access to their library.